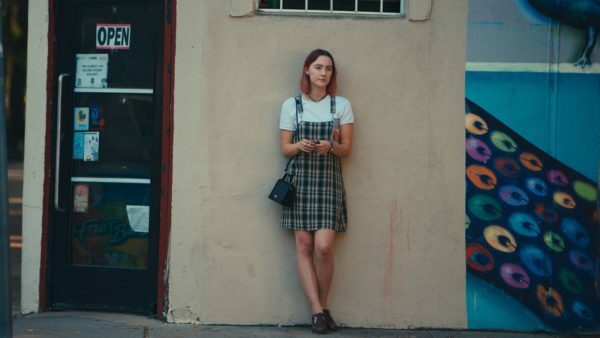 Greta Gerwig’s solo directorial debut Lady Bird continued its awards season hot streak by picking up the top prize at the New York Film Critics Circle (NYFCC) awards ceremony, with star Saoirse Ronan netting the Best Actress award. Ronan can add the NYFCC gong to the Gotham Award she won last week for her role as a headstrong youth embroiled in a turbulent relationship with her mother. She’s already emerging as a frontrunner for the Oscar and almost a dead cert to at least secure her third nomination, following nods for Atonement and Brooklyn. Elsewhere at the ceremony – the first of the major critics’ bodies to show its hand – Timothée Chalamet won Best Actor for his work in LGBT romance Call Me By Your Name and Willem Dafoe continued his momentum in the Best Supporting Actor category for The Florida Project. Dafoe’s director, Sean Baker, secured the Best Director prize, suggesting The Florida Project may be a big part of the leading pack as awards season rolled on. The biggest surprise of the night came in the Best Supporting Actress category, where New York critics bestowed an unlikely victory upon Tiffany Haddish for her breakout comedy performance in the raucous Girls Trip. There were also awards for Paul Thomas Anderson’s Phantom Thread, which won Best Screenplay, and the Netflix drama Mudbound, which was recognised for its cinematography. Major awards season contenders The Shape of Water and Three Billboards Outside Ebbing, Missouri were completely snubbed.